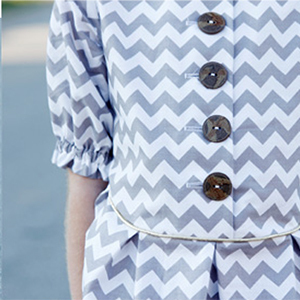 THE ZIG ZAG DRESS button-front dress. Difficulty: suitable for confident beginners as it requires buttonholes. Full size pattern pieces. 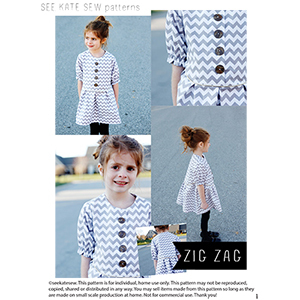 30 page pdf file with pattern pieces and full-color photographed instructions. 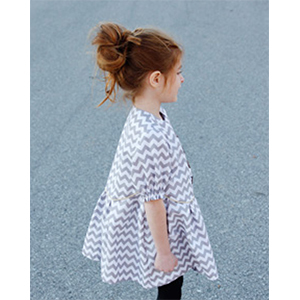 Pattern has sizes 18M, 2T, 3T, 4T, 5, and 6 and is suitable for beginners. Light to mid weight jersey knits.